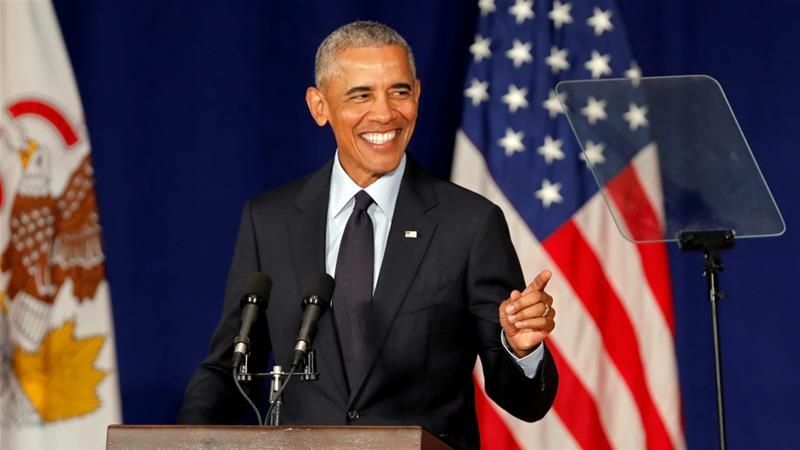 Former US President Barack Obama has launched an unprecedented attack on his successor Donald Trump and his Republican party, condemning the use of fearmongering and bigotry as electoral devices. In a rallying cry ahead of November's midterm elections, Obama told an audience at the University of Illinois that the US was going through a period in which the "powerful and privileged" sought to keep people divided and angry. "It did not start with Donald Trump," Obama said in his first direct criticism of the incumbent US leader since he took power after the November 2016 election. "He is a symptom, not the cause. 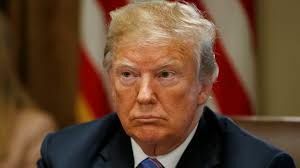 He is just capitalising on resentments that politicians have been fanning for years," he added before condemning the Republican party for "shielding" Trump from facing the consequences of his worst actions. The Democrat hit out at the Republican party's record on the environment, the White House's "cosying up" Russian President Vladimir Putin, the Trump administration's targeting of minorities, and Trump's own threats against the media. "Appealing to tribe, appealing to fear, pitting one group against another, telling people that order and security will be restored if it weren't for those who don't look like us or don't sound like us or don't pray like we do...that's an old playbook," Obama said. "In a healthy democracy, there are some checks and balances on this kind of behaviour, this kind of inconsistency, but right now, there's nothing," he added. "Republicans who know better in Congress (...) are still bending over backwards to shield this behaviour from scrutiny or accountability or consequence." "It's not conservative. It sure isn't normal. It's radical. It's a vision that says the protection of our power and those who back us is all that matters, even when it hurts the country." The former US leader has a long rivalry with Trump, and the incumbent was key proponent of the conspiracy theory that Obama was not born in the US, which if true would have rendered him ineligible to hold office. On his Twitter account, Trump did not respond directly but instead shared tweets attacking Obama, including one which accused him of "slick speaking" and being responsibile for "school shootings". The upcoming mid-term elections are seen as a key test of Trump's first two years in power. If the Democrats are able to gain control of the Houses of Congress, they would be able to severely hinder Trump's policies. The US president is feeling the pressure as an investigation into Russian meddling in the 2016 election pulls in an increasing number of his associates. Trump also faces criticism from within his administration, albeit anonymously in most cases. Earlier this week, an unnamed White House official penned a New York Times opinion piece, claiming the president's worst impulses were tempered by "adults in the room", who ensured he did not act to the detriment of the US on issues such as foreign policy.